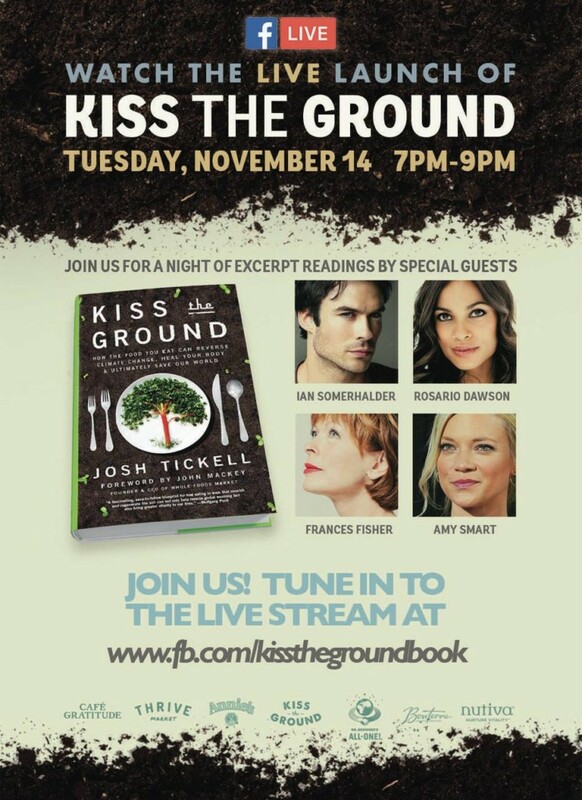 Join Kiss The Ground on Facebook for a Facebook Live event on Tuesday, November 14th 7pm-9pm Pacific Time. Everybody can join the "Green Carpet" with THRIVE, Annie's, Nutvia, and Bonterra! 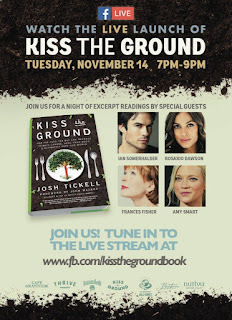 Kiss The Ground is a great resource for anybody interested in learning more about how to transform your kitchen, diet, grocery list, and ultimately, the planet. Thrive Market will be hosting the party for Josh Tickell and his new book! If you haven't ever checked Thrive Market out, you totally should! (You can get 25% off of your first order here!) We've been shopping there for a few years now and I save a great deal on some of our favorite foods and vitamins. You save a great deal with your membership and can often score freebies with your orders! If you were thinking of a New Year's Resolution, why not jot clean eating on your list? This is the perfect time to start to learn about how to clean up your kitchen and family's food!